Please be advised that guests will check in and collect keys at our reception on Duke Street. 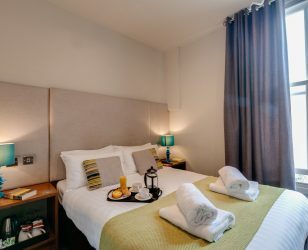 Travelling to Base is easy, check in is just a 10-minute walk from Lime Street station and discounted car parking vouchers are available for those travelling by car. Me and some friends stayed here over a weekend in July and loved every minute. 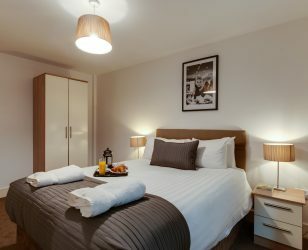 Staff: From the time of booking through to leaving the apartment, the staff at Base couldn’t do more to make sure we had a great stay. A lady called Olga made our reservation and was lovely. We received a courtesy call on booking and again on arrival at the apartment to check everything was OK. We even received a courtesy call on departure which again I thought was a nice touch. The staff were at hand to answer everything we needed about Liverpool and pointed us in the right direction of bars/nightclubs to go to in the area (there’s a brand new bar/club right opposite the apartments which was perfect for us). The staff also told us about their website which included info of discounts available at local restaurants as well as tours we could book through Base at a discounted rate. Apartment: There were 4 of us girls and we stayed in a 2 bedroom apartment. The apartment had recently been renovated and it was spotless. There was a little welcome pack with toiletries, tea and coffee etc and we loved having the kitchen to cook breakfast and keep our drinks cold while we got ready. The living space was spacious and we enjoyed being able to chill, have a drink and get ready for our night out in Liverpool! 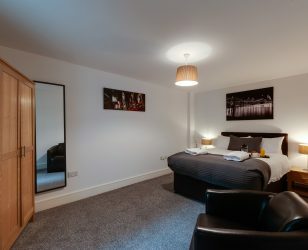 Location: The apartment is located a few minutes walk from Liverpool One where we went out for a nice meal at the club house with our discount from Base. It’s also a short walk to the docks where there’s loads to see and do. In terms of nightlife it’s the best place to be! Victoria Street and Matthew Street are a few minutes walk away and there’s bars and clubs on the same street! We were a bit worried about the noise but when we got home from our night out at around 12/1am we had a great sleep. Overall we loved our stay and me and the girls will be back to Liverpool and will stay here again. If I’m visiting with my family I’d like to try the docks location next time. Thank you Base! Brilliant apartment in a great location . Staff on arrival were brilliant . Couldn’t help you enough . Point deducted as it took a week and half to get my deposit back but that doesn’t take away the fact it was a brilliant stay. 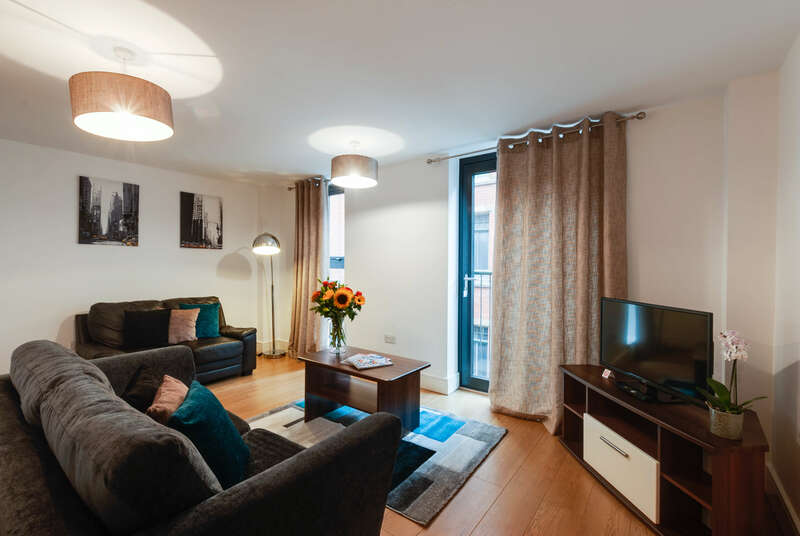 We booked an apartment on cumberland street which was a great city centre location. We had booked it for friday night to sunday day time and would be great for people who are going out in the evening. Great Location for all liverpool attractions – we went to the museums and less than 10 minute walk to the docks. The bedroom was very big and had lots of pillows, extra duvets and throws, however was very warm in the apartment they were not needed. 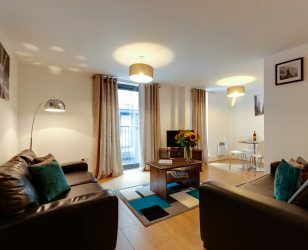 Stayed in a 1-bed apartment on Cumberland St. Really happy with the location, close to the venue of interest and the quality of the apartment was fabulous. The service to check-in is on point and easy to check-out by leaving the keys behind. Kitchen, living room and bathroom were perfect. An excellent experience with them.